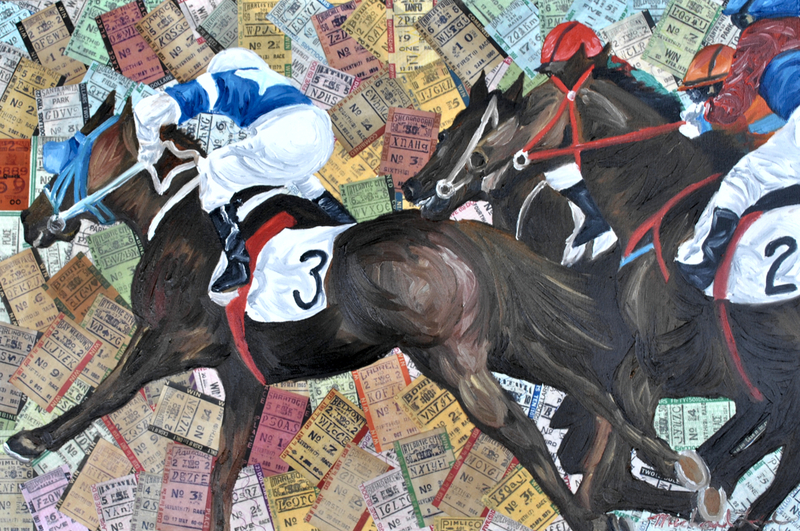 I painted this in oil on vintage horse racing tickets. It is part of my mixed media horse racing series. 5" x 7.5"6" x 9"7" x 10.5"8" x 12"9" x 13.5"12" x 18"